A short drive out of Solva brought me to Roch Castle. A privately owned castle so what you see here is the view form the castle gates. 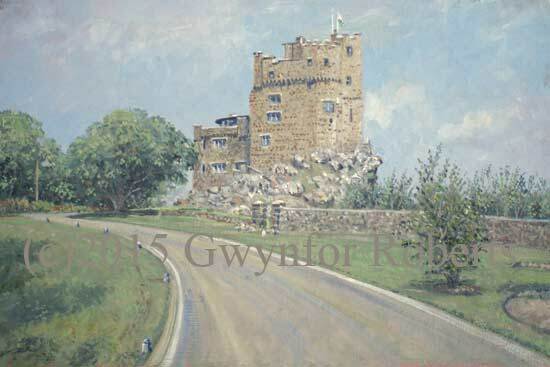 See how the castle stands high on the rocks and although privately owned such a feature deserves a painting.